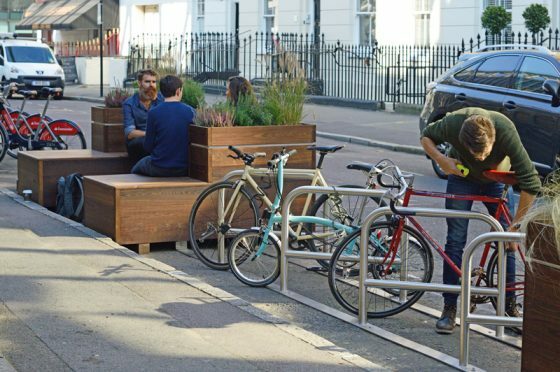 The Green Bike Port is an innovative cycle parking solution that can fit into a standard car parking space or on a pavement parallel to the road. This secure, functional and easy to use product hosts stainless steel Sheffield Stands, built in seating and planters offering easy access both on and off the road. 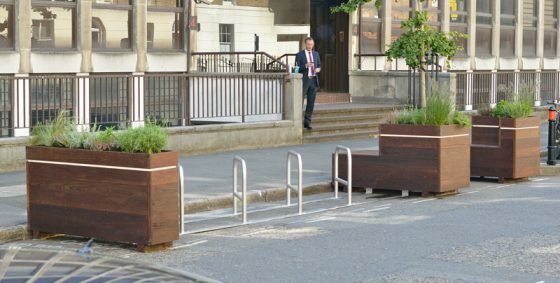 Reflective strips have been added and are visible at 360 degrees for added safety, especially at night. 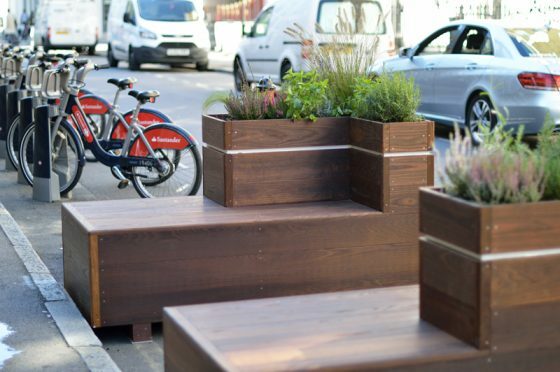 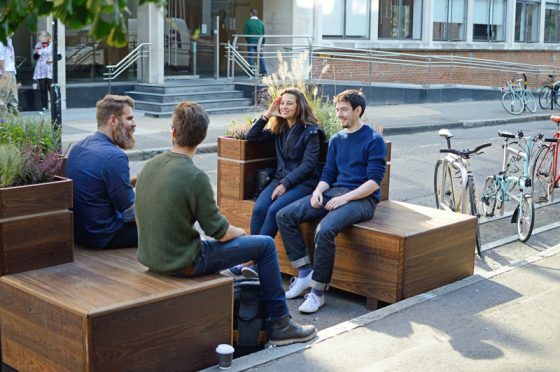 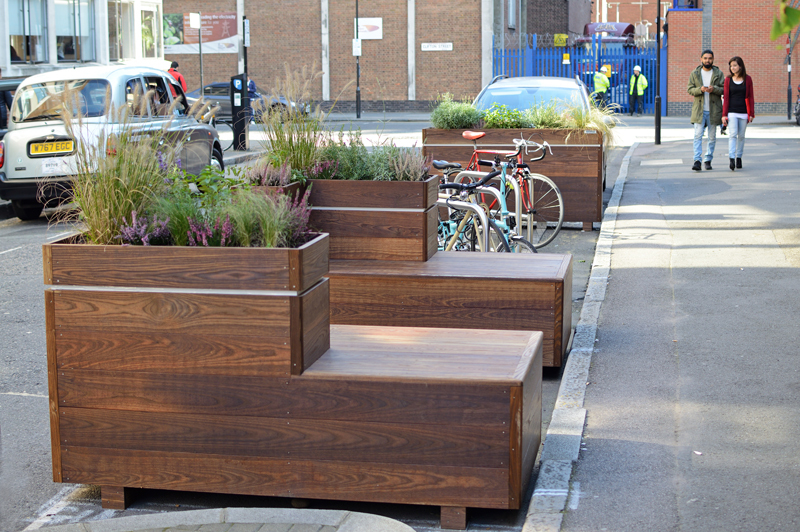 The perfect place for people to relax and socialise, the built in planters’ act as barriers to protect from cars adding verdancy and creating a calming retreat in an otherwise busy urban area. Our Green Bike Ports are customised to make the most of your available space. 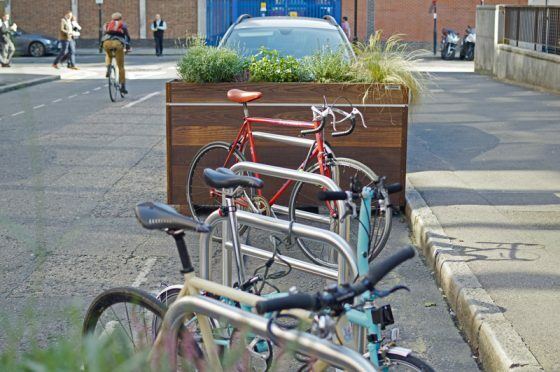 Cyclehoop will work directly with you to meet your requirements.